If you need to know about the nature and operation of hotels as they exist today, this new book is for you. You will learn about the inner workings of a hotel, preparing readers for what to expect in the current and future hotel market. The primary focus is the front office, housekeeping, reservations and night audit departments. Other departments are discussed to provide and understanding of how these departments relate to the front office and how they operate to enhance the guest experience. An introduction of basic analyses, techniques and trends both in policy and technology are reviewed as they relate to management and the guest. The book gives newer managers, meeting planners, and others a "real world" understanding of the hotel industry balancing its past, present and future. New technologies such as the Property Management System have dramatically changed hotel operations; therefore, extensive time has been devoted to covering this technology. 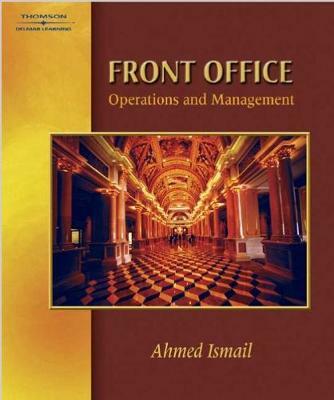 Additional chapters feature analysis of the physical makeup of hotels, yield management, and operational techniques. Performance measurements and analysis of what makes a truly successful hotel are discussed in detail. Finally, because hotel management is and will always be about people, chapters are devoted to both the hotel guest and hotel employee. The arrival chronology is discussed from arrival to departure.